Now that we have been travelling far more frequently to far-flung parts of the world, and on what seem to be increasingly long flights, taxi rides, and boat trips, I would like to say a word of compliment to whoever developed the chewable motion sickness tablet. Certainly any motion sickness tablet is a godsend for me. I have learned that I am sensitive to this malady, and I must accept the discomfort in order to get to where I want to go -- at least until someone invents the Star Trek transporter. Yet before the chewable tablet, swallowing the non-chewable variety without water as I waited to board a plane was just UCK. Bitter, cloying. Now I just breeze through, and if I have no water, no problem. A course in LivingDance~LivingMusic in the Treatment of Eating Disorders, another in The LivingDance~LivingMusic Approach to Dance/Movement Therapy, and a 1-day workshop in LivingMusic highlighted this year's trip to the "Central Kingdom" (China). Open House Saturday, March 10 - Welcome KineoLab! Last Saturday, Kinections hosted an Open House to welcome KineoLab, who will be offering their classes in the Kinections space. Dr. Danielle Fraenkel, director of Kinections, and Jeffrey Mehr, music director, will introduce their LivingDance~LivingMusic approach to building self-confidence through mindfulness, and the creative use of elements of dance and music available to everyone. No training, experience, or talent is required. Our goal: Connection, not perfection. Whether you're a mom, a dad, grandparent, aunt, uncle or a guardian looking for a fun and educational way to entertain your 2 or 3 year old, our KineoFamily class is the perfect way to help your child explore their movement potential, while having a great time. Childen ages 4-5 will enjoy a fun-filled, exciting class as they explore their movement potential through fun and educational movement–based games, activities, and structured play. KineoLab Artistic Director, Curtis Stedge, offers a fun and educational way to expand your kinesthetic and self-awareness, stay fit, and develop an appreciation and understanding of dance. No experience necessary. Learn the basic steps of Bachata with, KineoLab faculty, Whitney Denesha. Couples are welcome but no parter is necessary for this class. Awareness of Qi heightens the effects of touch, a prime healing factor in LivingDance~LivingMusic. Touch can be a highly charged verb that makes many therapists anxious for fear of misunderstandings with clients. But we, who facilitate dance/movement therapy and LivingDance~LivingMusic, understand how important touch is to our feelings of well-being. 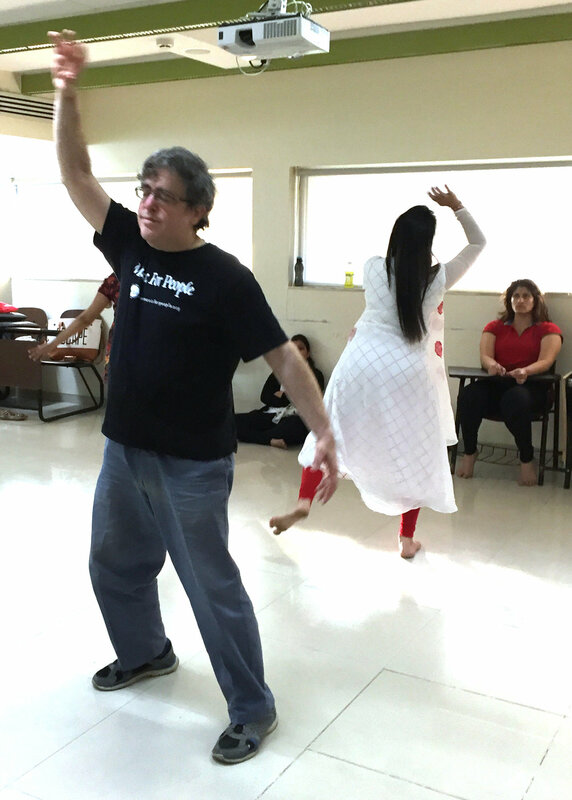 In LivingDance~LivingMusic, our students in India – just like our students in Europe and the USA – learned how to use self-touch to foster Shape, the somatosensory and kinesthetic sense of one’s boundaries, that leads to a sense of self and feelings of effectiveness. The photos show how intrigued everyone was as they followed the directions to accessing their Qi, and how much fun it was to discover this novel yet ancient way of sense or know. I love seeing people’s delight when they discover this initial connection to Qi, and the way it sows the seeds for deeper work. So here is the first step in heightening the awareness that leads to developing one’s sense of shape: Finding Qi or Prana, our life energy to heighten the sense of touch. More on touch and shape at another time. A mixture of feelings to be home again after such a dazzling tour. We're proud that Sancheti Healthcare Academy invited Kinections to collaborate with them to build India’s first clinical and academic certificate program in dance/movement therapy. Eager to learn, the students were open not just to gathering data, but to acquiring new ways of knowing such as kinesthetic empathy, Bloom’s Taxonomy, the LivingMusic Loop, and the use of breath and other basic elements of dance as sources of discovery, expression, and change. The students had a chance to experience dance/movement therapy for themselves, but because of the compressed nature of the program, Dani taught them - much earlier than she usually does - how to alternate between the role of student/client to that of dance/movement therapist. She did so by introducing the difference between product and process, integrating it with her original concept of the Facilitative Quartet, and examining ways in which Indian dance/movement therapists might function both differently from and the same as their western counterparts. Founder Nikita Mittal has been working with Dani's advice and support to structure a solid program that adheres as best as possible to the guidelines of the American Dance Therapy Association (ADTA). The first "batch" of students decided they wanted a name to identify themselves. They honored Dani by asking her to name them. She and I dubbed them The Initiators. Happily, they took to the name and recognize their identity as the first wave in the subcontinent. Dani will share more personal thoughts and feelings about her experience some time in the future. LivingMusic also saw continued development. Everyone participated in instrument circles facilitated by Jeffrey, and found the experiences resonated with memory and past good feeling. Two "non-musical" members of the group - by the end of our time together - had discovered they were actually pianists! After completing our work in Pune, we set off to explore the southlands: Kerala and Goa. The landscape was lovely, the people we met generous. It was especially grand to be walking the white sand beach in Goa, feeling the sun and temperatures of 88 degrees F, while Rochester was under inches of snow and seeing temperatures just above 0 F! In Kerala, Jeffrey had a chance to find chilanka - traditional instruments worn by Southern Classical (Carnatic) dancers. He brought some home for LivingDance~LivingMusic participants to enjoy too. Because of rescheduled flights going home, we ended up in Addis Ababa, Ethiopia, with a chance to tour for the day. 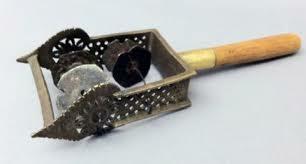 Jeffrey discovered traditional musical instruments, the tsenatsil, and brought a couple home for playing LivingMusic. We look forward to our return to Sancheti, even as Dani continues her guidance and supervision via WhatsApp, WebEx, and email. Jeffrey and I are having a truly amazing time as we teach in what is India's first bonafide certificate program in dance/movement therapy. Sancheti Hospital's Sancheti Medical Academy invited me - and Kinections - to collaborate with them. The spiritual connection that is deeply embedded in their relationship to dance and the struggles for professional women that come with living in a patriarchal society makes this experience so very different from our experience last April in Beijing. The lives of all the Chinese students there, both male and female, seemed colored primarily by The Cultural Revolution and their parents' demands for success. Yet here, as well, pressure from family, and struggling to meet its expectations while also attaining personal aspirations, can be a major source of stress. Students have begun their certificate program with courses in Laban Movement Analysis (LMA) and Kinesiology, Karolina Bryl, instructor. Yesterday was their first day with Dr. Danielle Fraenkel in Dance/Movement Therapy Theory & Practice I: Foundations and Principles. 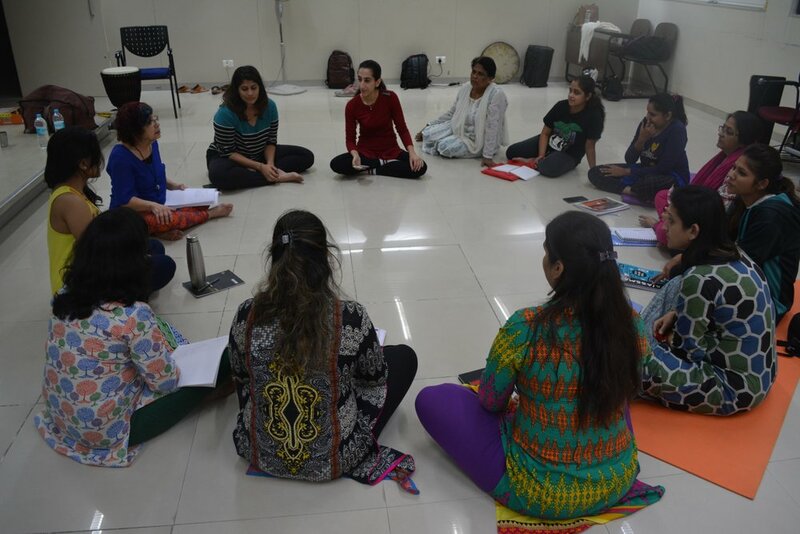 Our team heads to Pune, India, to help launch the first Post Graduate Certification in Dance/Movement Therapy Program at Sancheti Healthcare Academy. Based on the alternate route to certification program in dance/movement therapy (DMT) at Kinections, Dr. Fraenkel, Mr. Mehr, and fellow team members, Karolina Bryl, Dr. Michele Iemolo, and Dr. Nana Koch will provide courses in DMT theory and practice, kinesiology, group processes, and movement observation and analysis. 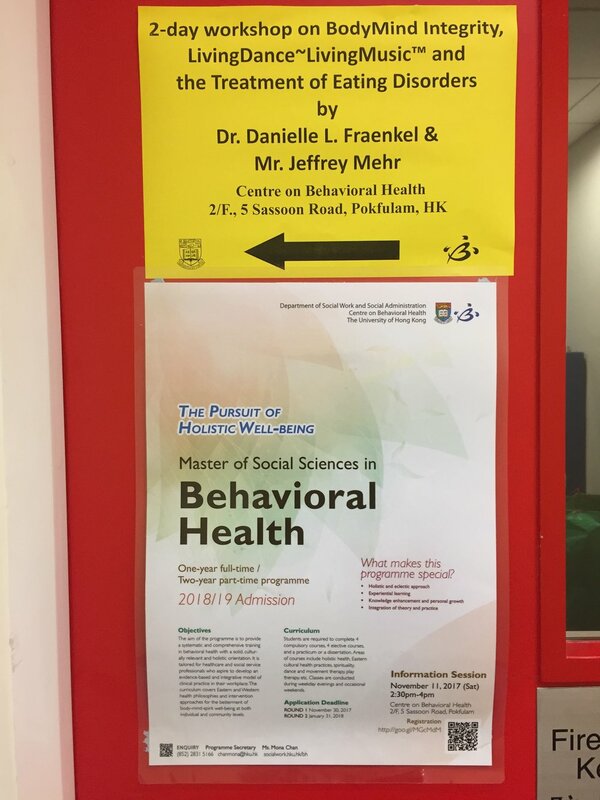 Under the leadership of Dr. Nikita Mittal, program director and Founder of Life and Dance - Dance Therapy Solutions for Individuals and Corporates, Dr. Fraenkel has been lecturing and interacting on-line with students. She looks forward to meeting them in person. Jeffrey and I are in from Trondheim, Norway, where we taught a course in LivingDance~LivingMusic in the Treatment of Eating Disorders. We had a dozen students in a special program at the Norwegian University of Science and Technology, and came at the invitation of faculty member Dr. Anne Fiskvik. Students haled from parts of Norway, Germany, Russia, Ecuador, Peru, India, Kenya, Nigeria, and Palestine. A combination of lecture with slides and active dance for personal exploration, Anne wrote to let us know that "the students are still raving about the course." One sent us an email to " say thank you for one of the most amazing workshops I've ever been to - for helping me feel and connect to myself and others through a medium that I love. 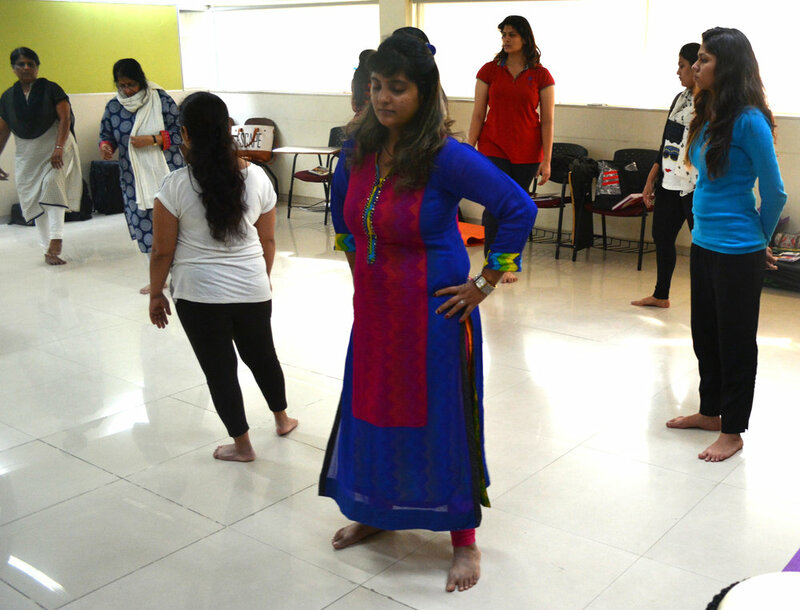 I had heard so much about dance therapy but didn't know that it could actually be so effective until today!" More than one dancer commented on the LivingMusic provided live by Jeffrey: "It felt as if the music was playing just for me, encouraging me to discover and do what I really wanted to do."